I think the Glad was from LOTO... Blue with 525's. If was for sale but is gone...did it sell? 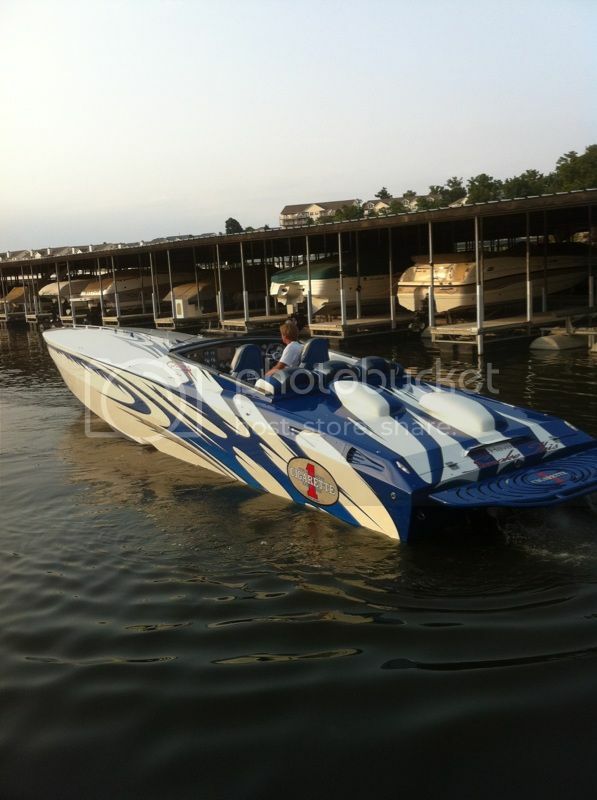 This is the boat where the owner had done some great dash upgrades in carbon fiber. I'm pretty sure Tom still owns that boat. there was a white w/ blue. Redbud on here used to own it. But he now has an OL. I thought that was his previous Gladiator, they were asking 145 I think. I don't he's thinking of mine. There is one here that is similar with an updated dash. I can find out if its still FS. I'm pretty sure he means the one you had. Main colors blue with a little red. 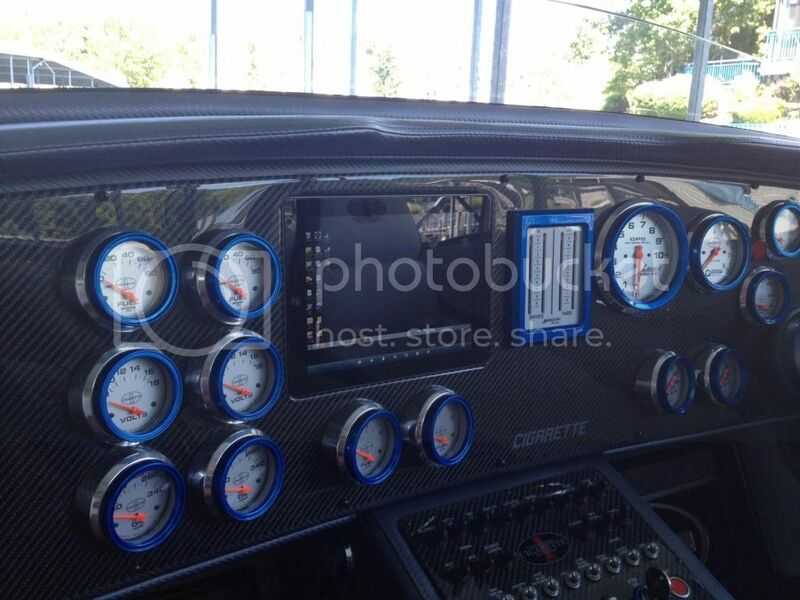 Stag/ 525's and a very custom dash with carbon fiber..I think it even had a iPod docking mount. I think the boat was documented our of Lake Havasu City....just recently for sale. I think the price was 145k... that's the one - still for sale? I think you are looking for Mike Lenz's boat. If I remember correctly, his company is Jay Electric in STL 314.381.1400. He bought it from one of Jeffrey Cheng's friends in Havasu and brought it to LOTO. I think I have some pics of it I can email you if you would like. Last edited by jawbreakerkid; 06-03-2013 at 12:16 AM.